Being quality-centric firm, we are engaged in presenting a high-class range of Executive Office Bag. Established in the year 1997, Vision Bags is engrossed as a Manufacturer and Trader of Corporate Bags, Gift Bags, Travelling Bags and much more. The range offered by us comprises Travelling Bags, Cash Bags, Jute Bag, Jute Folders and Personal Utility Bag. High tearing strength, fine finish, lightweight, spacious, durability and load bearing capacity are some of the features of our offered range of bags. 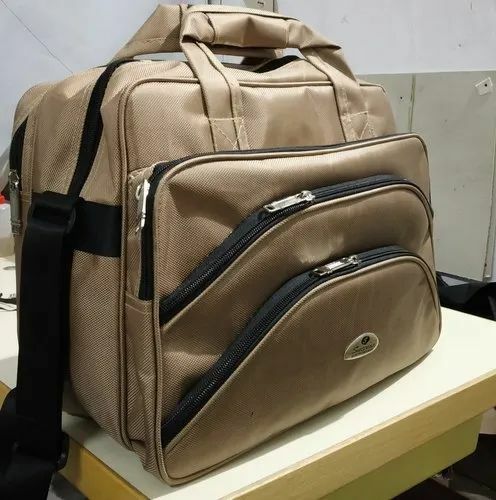 To suit the demands of customers, the offered range of bags is provided with customization facility on the basis of sizes and colors. Furthermore, before final dispatch at the customers' end, the offered range of bags is checked on various parameters to ensure flawlessness.